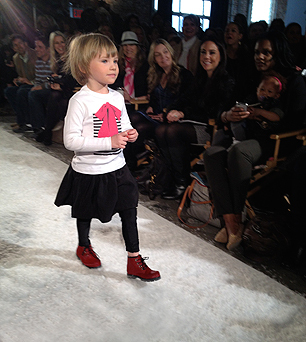 On March 11, 2012, we took the to the runway in Soho, New York to participate in the Petite Parade/ VOGUE Bambini Fashion Show. It was an amazing experience and we had two fantastic models showcasing our “Spinning Beats” t-shirt and our “Benatar” T-shirt. 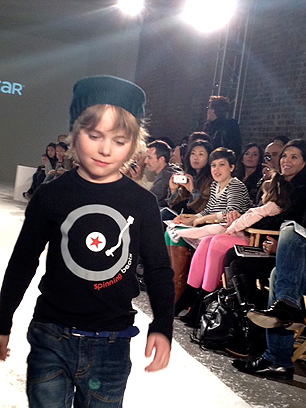 The fashion show showcased all of the hottest kids clothing from around the world and highlighted the trends for Fall 2012. We were so happy to be included in such a fantastic lineup!